Hate all the recalls lately? Feel like companies should pay for putting you in harm's way? Too bad. 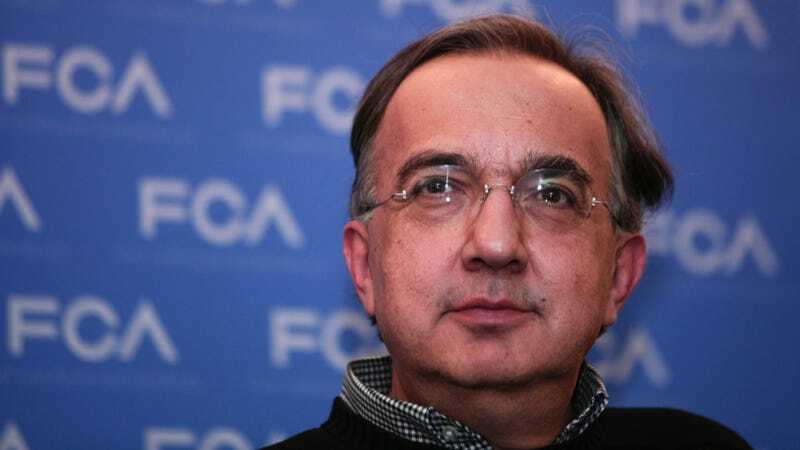 According to Fiat-Chrysler CEO Sergio Marchionne, they won't be paying much at all for their failures. You will. That's right, kids. If you don't want a rolling deathtrap, you'll have to pay for it. And you'll probably end up paying for all the rolling deathtraps that all the other poor saps bought before it came out that GM was potentially sweeping their serious safety issues under the rug. And basically every other company. So basically, as long as they can get the marketing right, car companies can keep paying $35 million fines all day, every day. Just as long as you're not allowed to call it a mobile sarcophagus. EDIT: As Big Block I-4 and a few others pointed out, the above post might not be entirely clear. It's illegal for a company to have to make you, the consumer, pay for the repair that a recall entails. What Marchionne is saying is that the costs of all the screw ups from the auto companies will likely end up being factored into the purchase price of your next new car, resulting in an increase upon purchase, not that you'll have to pay for the dealer to fix your car as it already exists. Apologies if that didn't come through originally.